The Italian brewing industry has grown up. Ten years ago it was a boisterous infant, noisy and colorful in the beers it made, spices, herbs, fruit and vegetables chucked into the mix with willful abandonment. It was not all tantrums, though. Some of the beers, packaged in wine-sized bottles with prices to match, were calmer and more considerate, at ease on the dinner table. Many world-class beers emerged during this playtime. There was Birrificio Le Baladin’s Xyauyù for instance, an elegant, esoteric and powerfully alcoholic beer that spends 18 months sitting in a barrel alfresco in the brewery’s courtyard. Birrificio Italiano’s Tipopils was a complete contrast: big and bold in both nose and flavor with a crisp and refreshing mouthfeel and arguably one of the best pils in Europe. Now, it doesn’t feel such a step in the dark when searching for a beer in Italy. For instance the annual Birra dell’Anno beer competition features 26 categories, which can only suggest a high level of confidence in the quality of the beers being entered. On an anecdotal level, it’s easy to search online and discover the thoughts and comments of gleeful beer tourists who have visited and enjoyed bars in Bologna, Venice, Florence and Rome. The recent opening of a BrewDog bar in Florence suggests that the canny Scottish brewery has also thought the time right for bold-flavored beer. The Italian beer scene has not only grown up but also has matured into a handsome young adult. Fancy an IPA? Here’s Foglie d’Erba’s Hop-felia, a ringing, chiming assemblage of Northern Brewer, Tettnang, Centennial, Citra and Amarillo hops that all come together to form a bright, brilliant, zestful and cheerful IPA. What about a Belgian-style dubbel? Then please help yourself to a glass of Birrificio del Ducato’s warming Chimera, a smooth confection of caramel, butter fudge, pear and apple on the nose, echoed on the palate alongside a brief mid-palate burst of acidity giving the beer an extra complexity. There are double IPAs, sours, honey beers, weissbiers and wits, beers married with grape must, beers aged in all manner of barrels, beers matured in terra cotta (Birra del Borgo’s Etrusca for instance) and, of course, chestnut beers, which are often seen as an indigenous Italian style. Italy’s burgeoning beer scene was initially highlighted in a 2001 story in All About Beer Magazine, and later in Michael Jackson’s 2007 book, Beer, while various travelers’ tales on the Internet about the same time also related the sense of exploration and excitement surrounding beer in one of the great wine countries. There was Le Baladin, founded by Teo Musso, who played music to his fermenting beers. 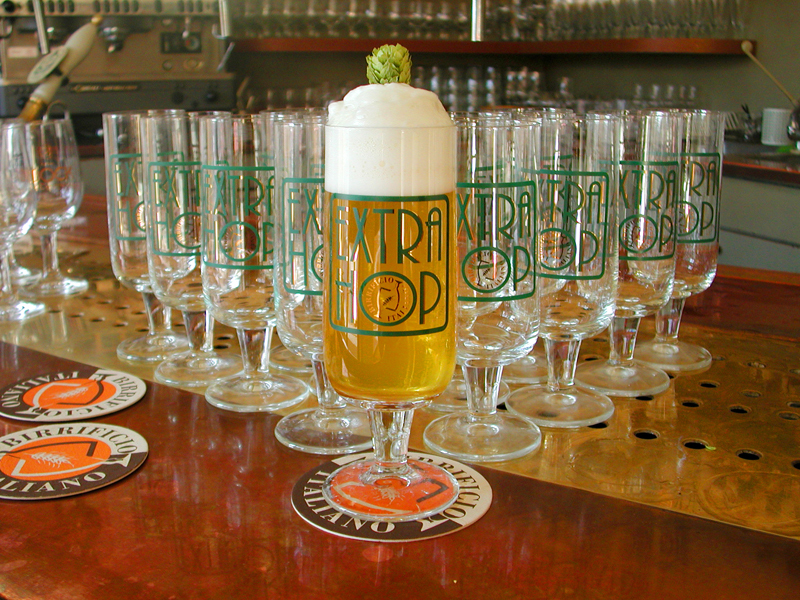 Near Lake Como, Birrificio Italiano’s brewer Agostino Arioli was so obsessed with the pils style that he would drive to Bavaria annually to choose his hops. Along with Musso and several others, he is seen as a founding father of the Italian beer renaissance. Arioli’s portfolio of beers currently includes five pils, black IPA, bock, beers aged in wine barrels, beers with Brettanomyces and a grodziskie in collaboration with Quebec’s Trou du Diable. One of these world-class breweries most certainly is Birrificio Grado Plato, located south of Turin in the region of Piedmont. Grado Plato, which opened in 2003, is a positive veteran. 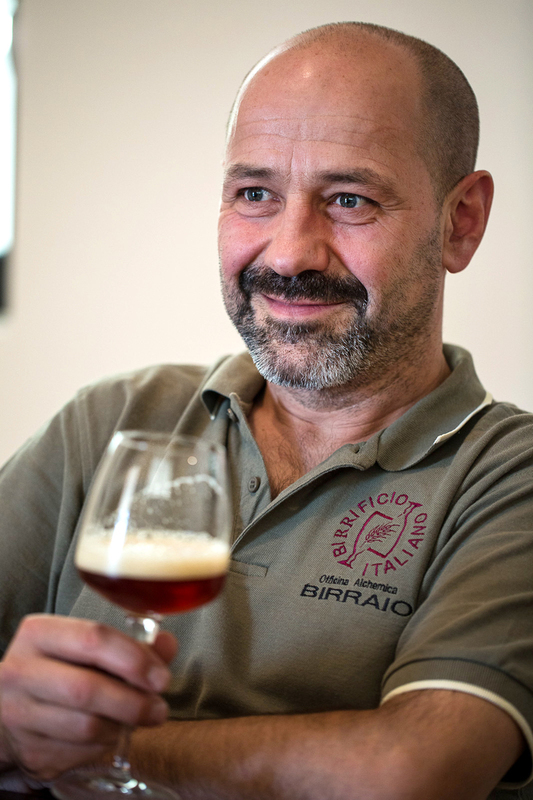 Its founder and brewer, Sergio Ormea, is a thoughtful person when it comes to brewing; for a start he is positively pleased with the relative newness of Italian brewing. Then there is Chocarrubica, a dark chocolaty beer that was created after Ormea watched a TV documentary that showed American GIs handing out chocolate bars to Sicilian kids during World War II. Up until then they’d only had carobs, and the idea of merging the flavor characteristics of chocolate and carob brought forth Chocarrubica. There’s a convincing corollary to the continuing surge of Italian beer: It’s getting easier to find beer bars in many cities and towns. Even Rimini, which some might not think of as a hotbed of beer, has two, Cantinetta and Fob. The latter is keen on beer cuisine, and menus have included bone marrow with Westmalle bread, pork ribs cooked in bock and dry-hopped potatoes. Rome has the fantastic Ma Che Siete Venuti A Fà in the hip neighborhood of Trastevere, while Florence’s Beer House Club has 10 beer taps plus hand pumps for cask beer. It has its own brewery, and its imperial stout is a rich and powerful example of the style. It’s not all sweetness and light: Some brewers make what they call a double IPA, but during brewing it seems that they get to the hop precipice, look over and turn back. Not everything Le Baladin brews is always swooned over, while some brewers grumble about businessmen moving into breweries. Yet such is the vibrancy of Italy’s beer scene that the good completely outweighs the bad with the results making the country one of the most exciting places in Europe in which to drink beer. Bellissimo. This story appears in the January 2015 issue of All About Beer Magazine. Click here to subscribe. There is a fantastic book about this movement, Italy: Beer Country.